If you still plan to go to Mali, try to prepare as much as possible beforehand. You will need to update and document your immunizations, including yellow fever. Brush up on your French and keep up with the news. Get travel medical insurance, with a medical repatriation policy. Once outside of Bamako, access to health facilities is extremely limited. Be sure your policy covers all the places you plan to visit with breathing room for getting lost and diversions. Once you’ve arrived in Mali, be careful getting around. The rainy season begins abruptly in the summer, and flash floods can occur. Being kidnapped is scary enough, but being kidnapped and sold to another terrorist group is even worse. This happens in Mali. Stay out of the northern section of Mali. Sadly, this means Timbuktu is off limits, but the coup hasn’t quite stuck in this region, and the government remains at odds with rebel factions. Violent protests occur all over Mali. The best way to avoid them is to avoid crowds, especially political gatherings. 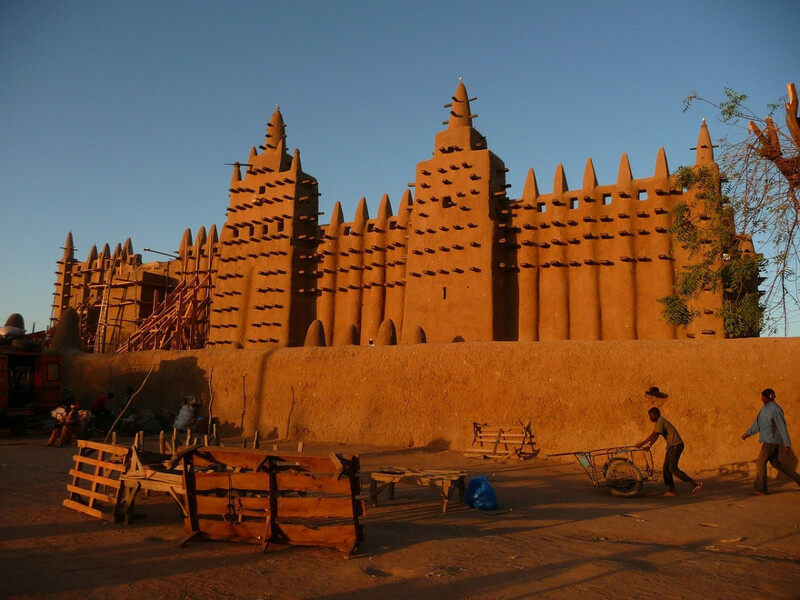 Despite the drugs, slavery, violence and terrorism, Mali oozes culture. Its ancient architecture is thoughtful and beautiful. The music is to die for. The people, when not trying to kill you or each other, have a warm and witty outlook on things. Mali is a fascinating combination of desert and river, violence and humour, and terrorism and hospitality.